Police, the local council, and business leaders have agreed to clampdown on underage drinking after large crowds of young people turned some of the city’s green spaces into no-go areas during last weekend’s good weather. 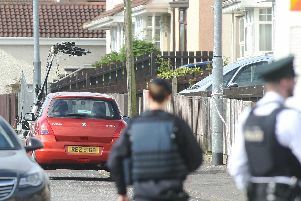 A multi-agency group, comprising the PSNI, Derry City and Strabane District Council and the City Centre Initiative (CCI), met on Friday to address the problem, which plagued the Derry Walls, St. Columb’s Park and Marianus Glen, among other areas, last weekend. Following the meeting police, community wardens and council officers have agreed to take forward a number of actions to tackle the issue. These include the early identification of potential trouble spots, increased seizures of alcohol from people under the age of 18, and engagement with local off licences to ensure drink is not being sold to minors. The Mayor, Hilary McClintock, said: “This is an issue of real concern to everyone and in particular to residents living close to St Columb’s Park. “We all want our young people to enjoy themselves but we want them to be safe and to be informed. The issue of underage drinking in parks and open spaces is of significant concern to local residents and the wider public, who feel intimidated and afraid to go to places where young people are congregating. She said parents and grandparents also have an important role to play in knowing where their child under 18 is, what they are doing and speak to them about responsible behaviour and personal safety. Karen Phillips, Director of Environment and Regeneration, at the council said drinking alcohol in parks and open spaces is not permitted and will not be tolerated. She said the council will work with its partners, in particular PSNI, CCI and St Columb’s Park House in order to deal with these issues . Contact numbers for the Community Safety Wardens are as follows – 07709457690 or 07736213140 and the non-emergency number for the PSNI is 101.